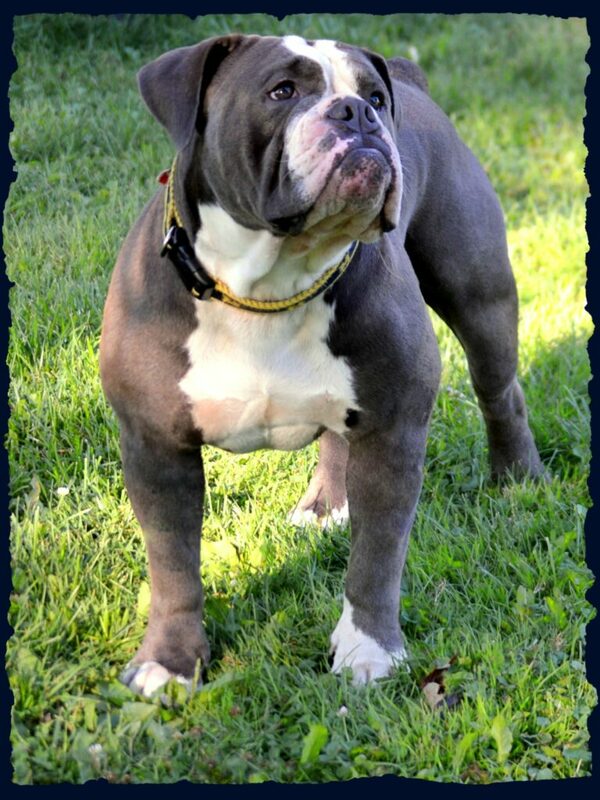 Spartacus is blue and white Olde that is a triple carrier and carries the tri gene. He definitely has the WOW factor – muscle mass, bone, and structure! Spartacus is loyal. He loves car rides and his snuggle time. He has produced five nice litters for us and quite a few amazing puppies, including our boy, Diesel and our female, Sascha!